Ever played 20 questions? Well we barely need half that many to get you pre-approved. 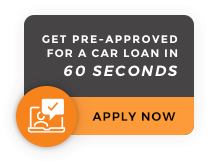 Get a REAL online pre-approval in 60 seconds. Try for FREE! All credit situations accepted. Will not affect your credit score.